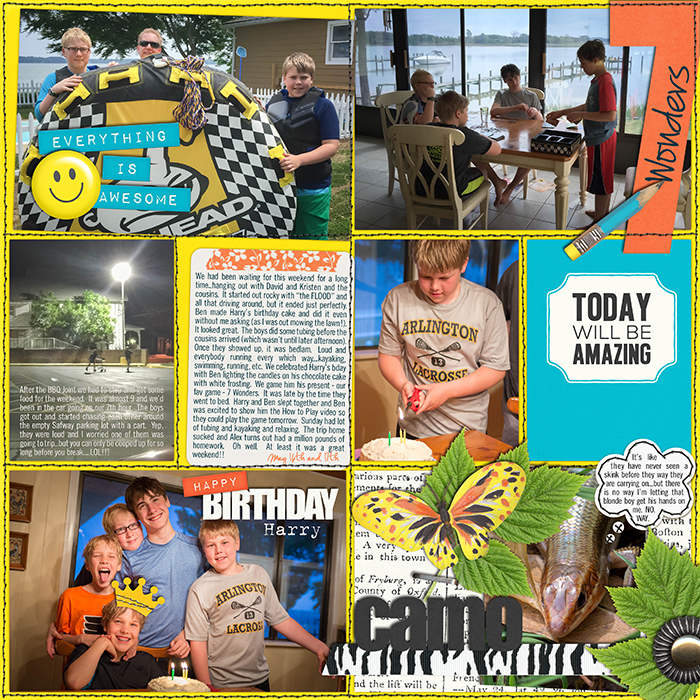 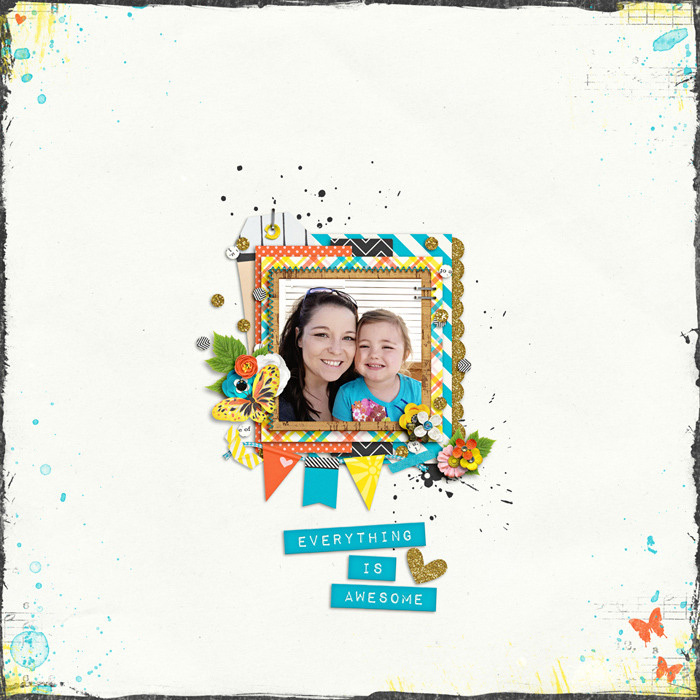 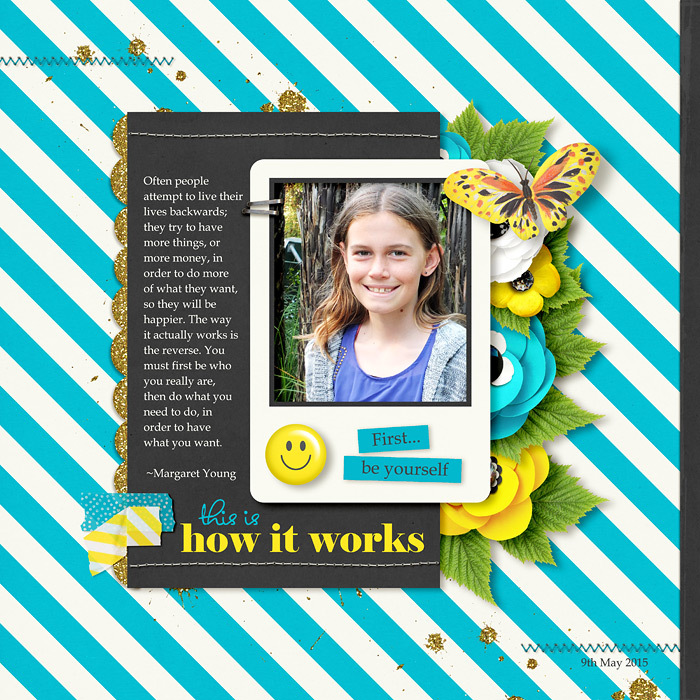 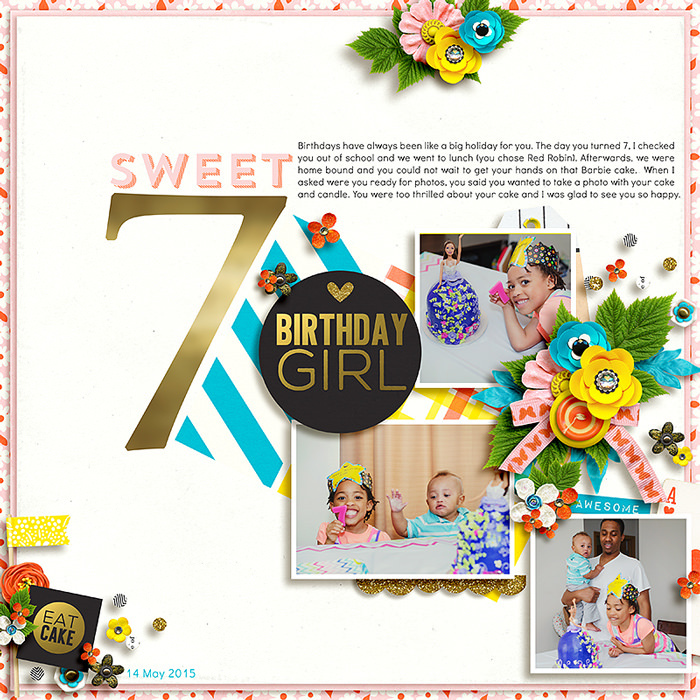 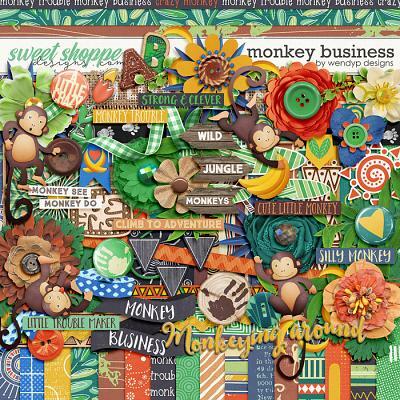 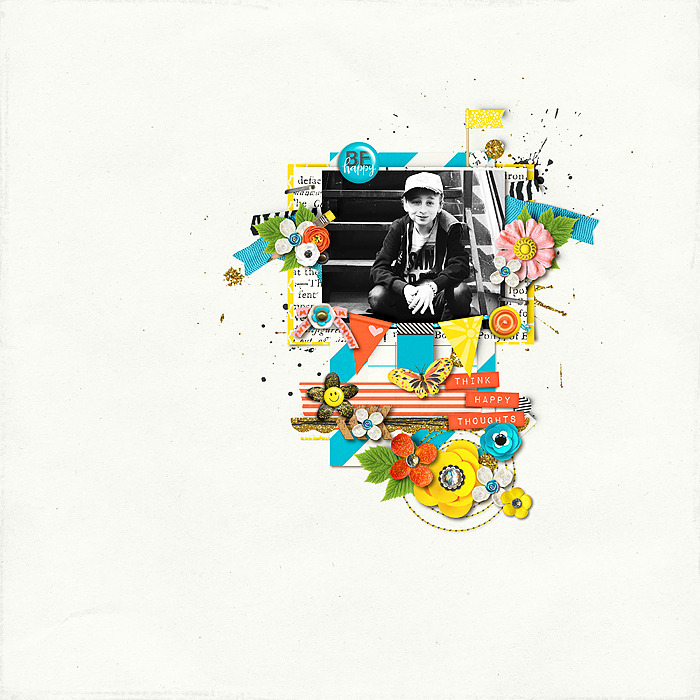 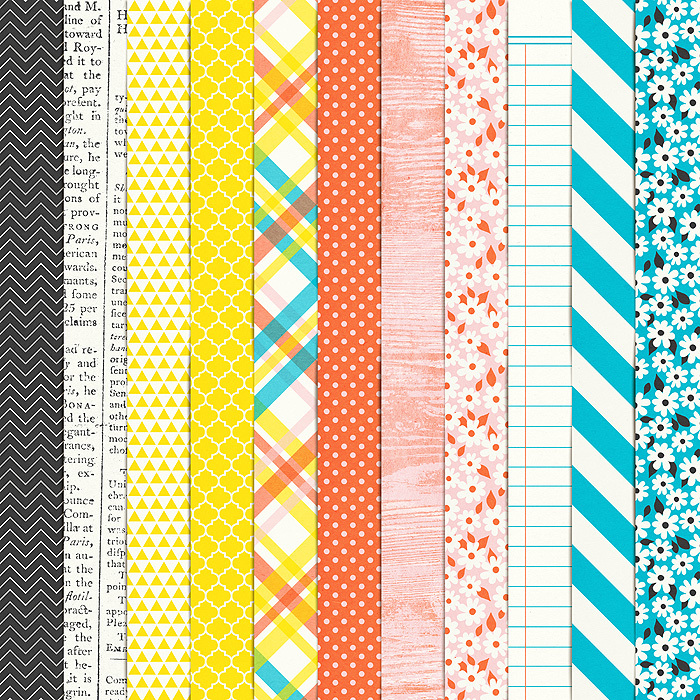 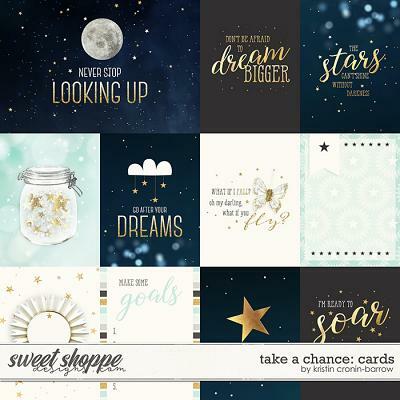 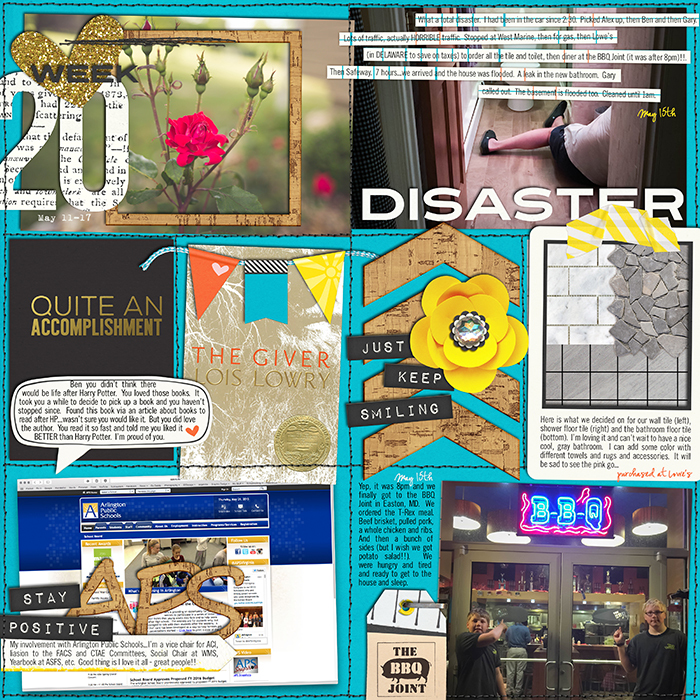 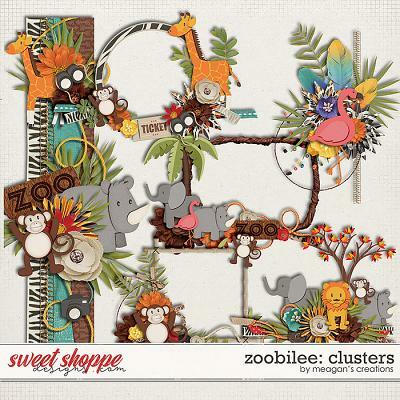 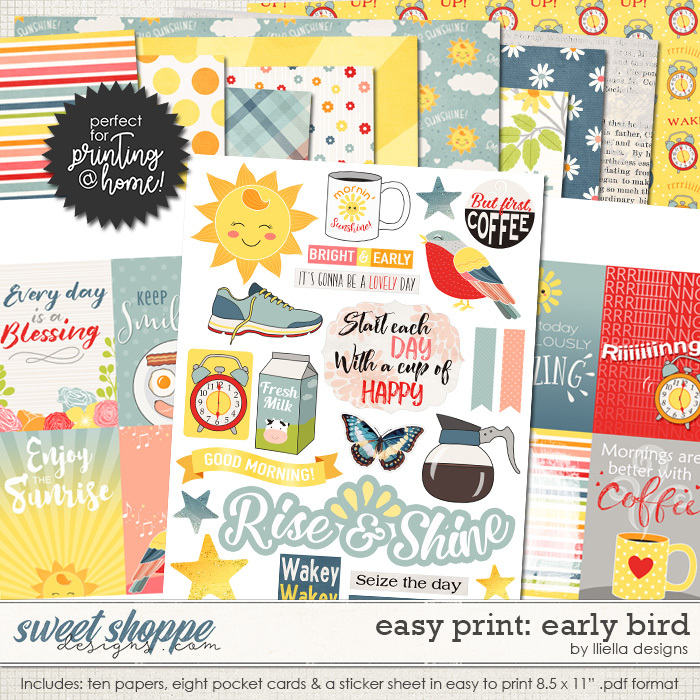 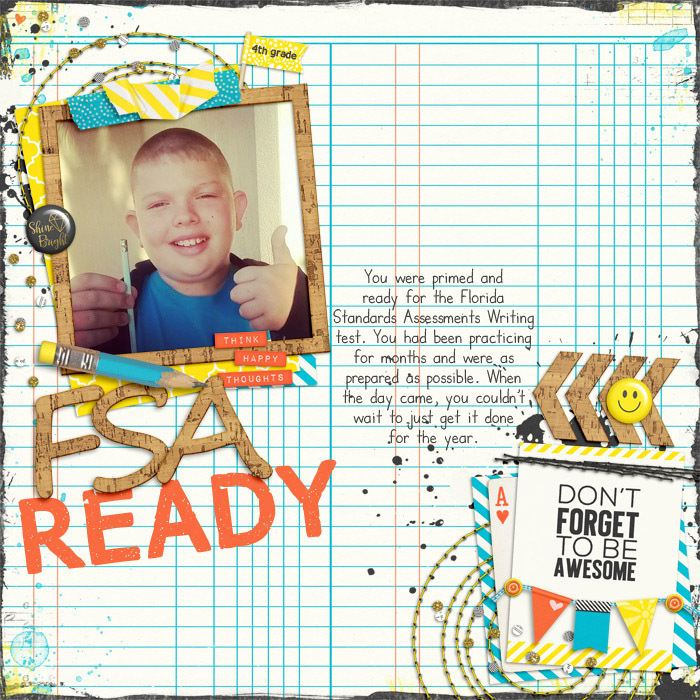 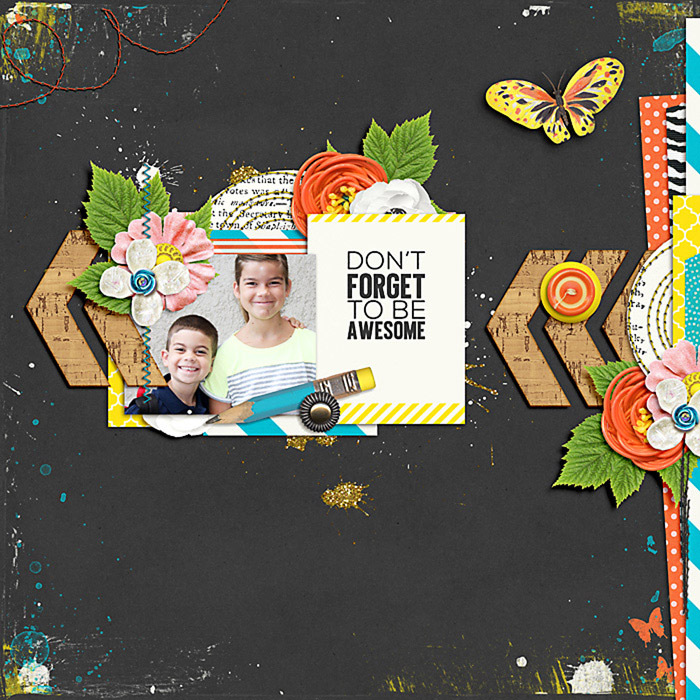 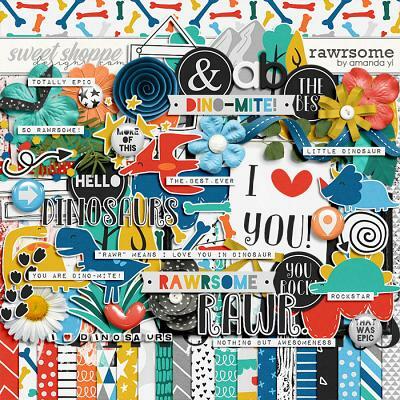 A digital scrapbooking kit by Erica Zane, Cuz I'm Happy is a bright, fun kit full of happiness. 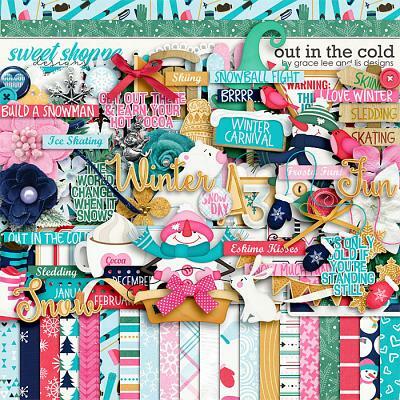 Packed with 17 digital scrapbook papers (plus a 12x12 edge overlay), more than 60 digital scrapbook elements and a digital scrapbook alphabet (saved as individual .png files). 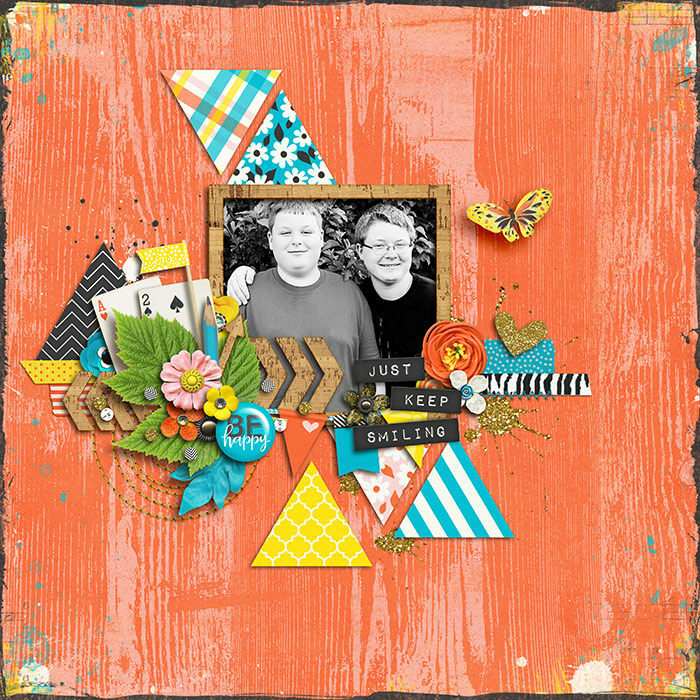 The elements include: 9 flowers, 8 word art pieces, 5 stitches, 4 frames, 4 flair, 3 buttons, 3 ribbons, 3 pieces of tape, 2 playing cards, 2 journal cards, 2 leaves, 2 paint spills, 2 tags, chevron, banner, heart, bow, butterfly, arrow, confetti scatter, flag, scalloped edge trim, pencil, speech bubble and a staple.